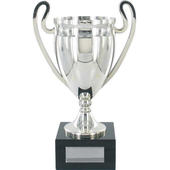 Plastic Silver trophy cup with black marble effect base. 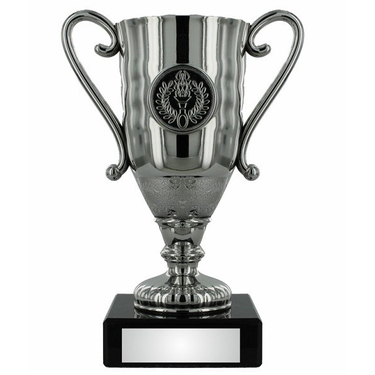 Trophy features beautiful spiral handle design. Ideal for any sport event. The base is ideal for a customised engraved plate or personalise with an optional centre sticker.